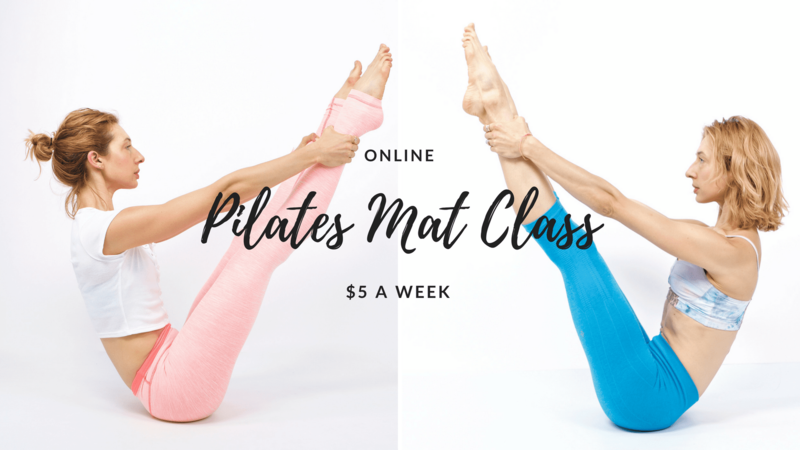 $5 weekly Online Pilates Mat Classes offered by Lesley Logan, a Pilates Instructor in Los Angeles. Each 30-minute class is live for 7 days, starting at 2pmPST on Tuesday each week and are then replaced by the next week’s class. You may watch the current class as many times as you would like, any time of the day! Lesley’s weekly $5 online mat classes have moved over to her new website, OnlinePilatesClasses.com. What if we didn’t start with the Hundred? What if we started with Pushups? Would that make Teaser easier? Harder? This week let’s flip class around to see the magic behind the madness of Pilates! It may just answer most of your Mat related questions. 7/3 Pilates Mat Class: Just Roll Up With It! Last week I wrote a blog about the difficulty of the Roll Up! And, I heard from so many readers about how much they love and loathe the Roll Up. And, I have to say that after 13 years of Rolling Ups I love them and also know how important they are to our whole practice. So, if you loathe them don’t skip this week! This week, let’s find something to enjoy about them and you’ll also learn some replacement exercises for those days or weeks or even years where the Roll Up isn’t your favorite. Ever see some of the Pilates Mat exercises and think that they are too advanced for you? Jackknife, High Scissors/Bicycle, Control Balance and Corkscrew all require us to go upside down! But, how do you do that and not feel compression in your lower back? Or, how do you lift your whole body up and not rest in your neck? I cannot tell you how many times I have heard “I hate Stomach Massage” or “Why do we do this?” And then, there is lots of love for Tendon Stretch until we take a leg off… In this week’s mat class we channel our Stomach Massage in many of our Mat exercises. I hope that by the end you at least like a little bit what the Stomach Massage does to help your Mat practice. And, to make it a little fun we rock out with our Tendon Stretch! I know you’ll have fun with it! I really did. When you lift one foot off even one inch does your whole bridge fall down? I know mine has been struggling for almost 10 years… until now! After hearing from you last week I found many of us struggle to not fall out of our bridge when we lift a leg. And, it’s not only frustrating but it disconnects us from our center and the exercise.